This week my column for the Gloucestershire Gazette is about Meningitis and how, after I survived the disease 39 years ago, it’s about time the UK government funded the new vaccination that can save lives. What do you think? Should vaccinations automatically be funded or is the NHS to strapped to allow that to happen? Let me know. This week my column for the Gloucestershire Gazette is about Laurie Lee and how, we can take a leaf out of his book and walk more instead, that way we can reduce speeding and obesity some 80 years after the author was born. What do you think? Is walking more the solution? Or is today’s society just too fast and demanding for walking? Let me know. This week my column for the Gloucestershire Gazette is about the proposal to change the UK GCSE exam grading system and how, due to the meddling by the Department of Education, it will mess with the future of our children. What do you think? Is the GSCE grading system fine as it is or does the whole thing need a shake up? Let me know. Gazette column: Should pubs be at the heart of our communities? This week my column for the Gloucestershire Gazette is about pubs, and specifically the Full Moon pub in Wotton, and I ask if pubs should really be the centre of our communities – and if we’re suffering from a case of double standards . What do you think? Should pubs be at the heart of the community? Or should we have central, shared – no alcohol – spaces? Or, quite simply, does it really not matter? Let me know. This week my column for the Gloucestershire Gazette is about car parks and how the answer is not to build more, but to have better, state subsidised public transport instead. What do you think? Is better public transport the answer? Or are more car parks essential for towns and villages to grow? Let me know. 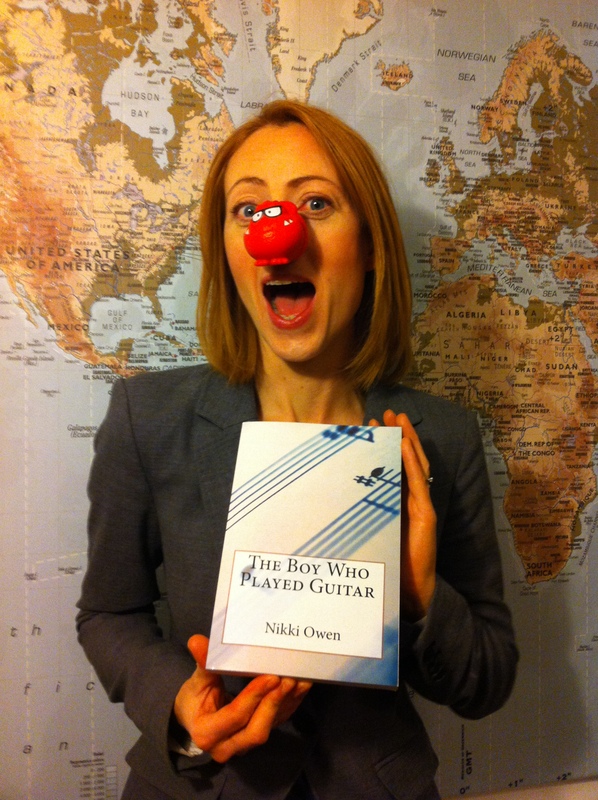 **RED NOSE DAY ALERT: Remember, all the royalties for my book, The Boy Who Played Guitar, are going to Comic Relief and the Red Nose Day appeal to help raise vital funds for people who live imaginably tough lives. This week my column for the Gloucestershire Gazette is all about why wind turbines are essential to our landscape, not blots on it. It is also a piece in which I use the word ‘poppycock’. Really. What do you think? Are wind turbines vital for our future? Or are they simply an eye sore?